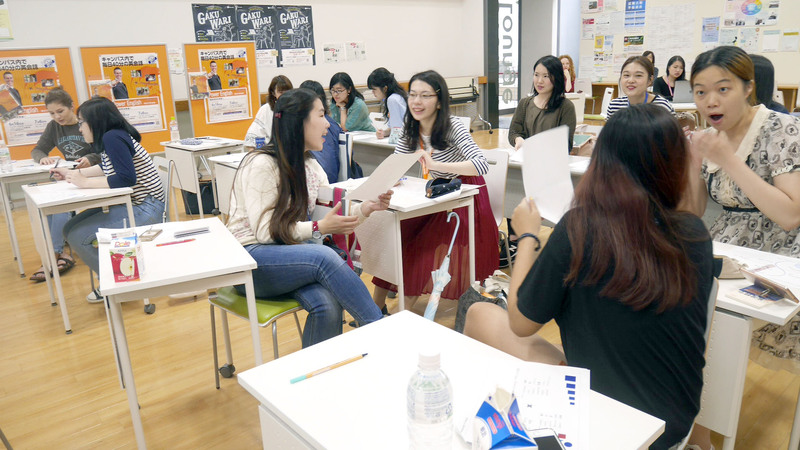 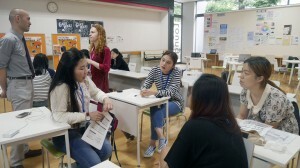 After a weekend exploring Tokyo’s plethora of museums, restaurants and parks, the students gathered together in the Global Lounge to kick-off the second week of the program. 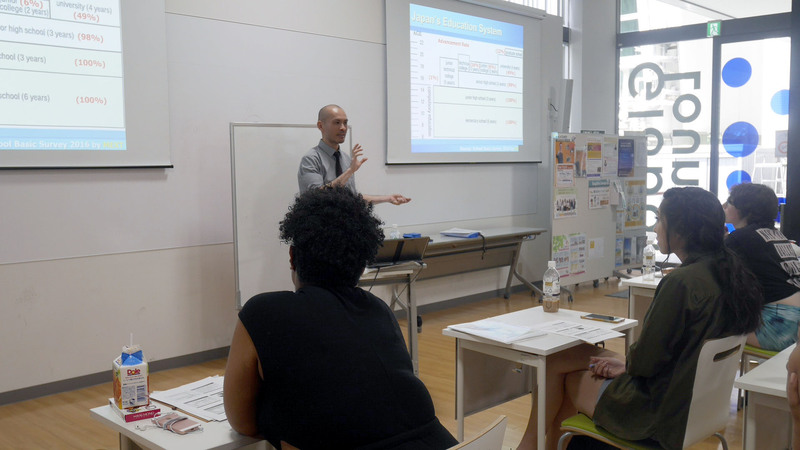 Today, we had two engaging professors, Ishii-sensei lecturing on Japanese Design, followed by Sim-sensei on Japanese Education before tomorrow’s visit to the Elementary School. The morning lecture began with an interactive introduction to the language of design, with students comparing the remarkable similarities between the images each of the students have in their minds in response to concepts and emotions. We then launched into a brief history of design in the West and how different styles developed across the Eurasian continent over millennia before feeding the diversity of Japanese design today. 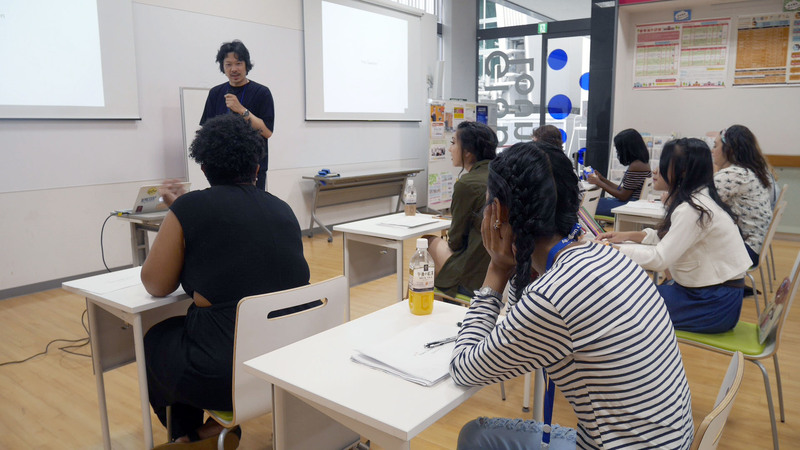 The lecture concluded by touching on the defining influence of Shinto concepts, before opening up for a comparative discussion with students drawing on their own cultural experiences. 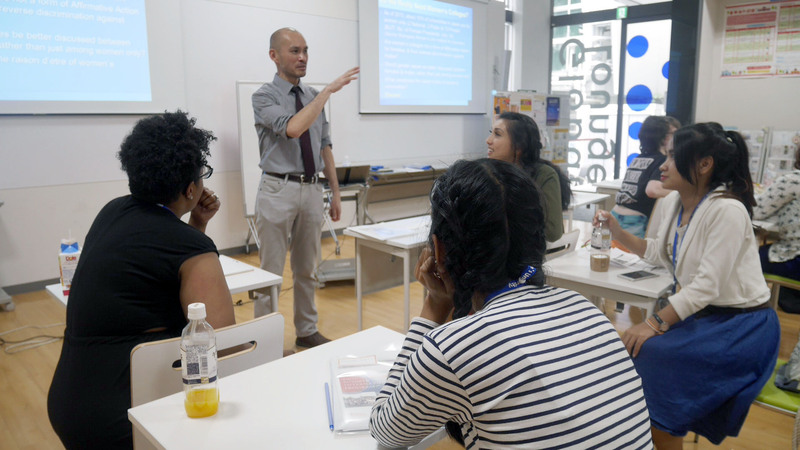 With their hunger sated by a brief lunch, the students reconvened in the Global Lounge for an enthralling lecture on Japanese Education delivered by Sim-sensei. With a presentation incorporating statistics on levels of education in the countries of the participants as well as Japan, students were left surprised by the contrasts in education levels, costs and methods. 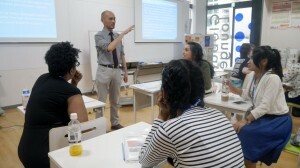 They dived into debate with their own remarks over the educational research on such topics. 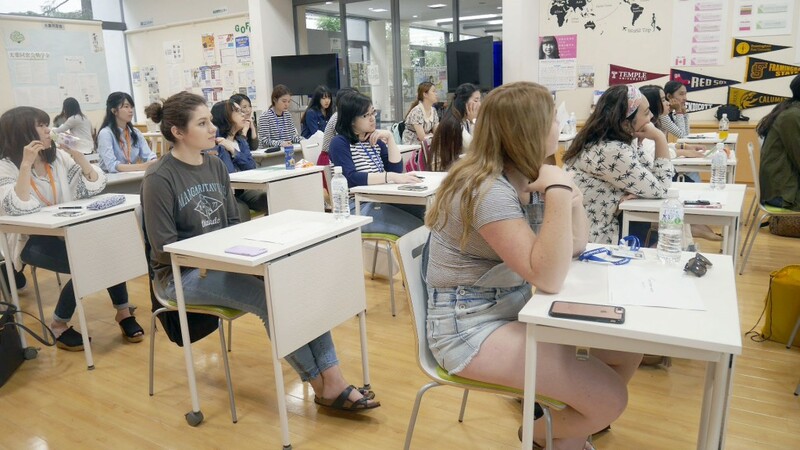 The second half of the presentation was tailored to exploring the shocking and perplexing gender disparities in Japanese education and around the world. 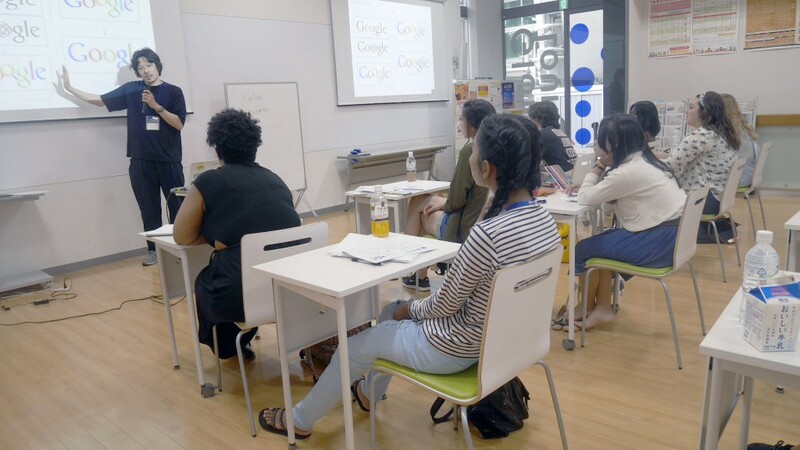 With thoughts buzzing from the day’s lectures, students headed out into the city or back to the National Olympics Youth Memorial Center for a well-earned rest.